From the developers of the all time favorite The Nutcracker and the Mystery of the Disappearing Cheese and the award winning Goodnight ABC continuously featured by Apple in Apps for Parents. 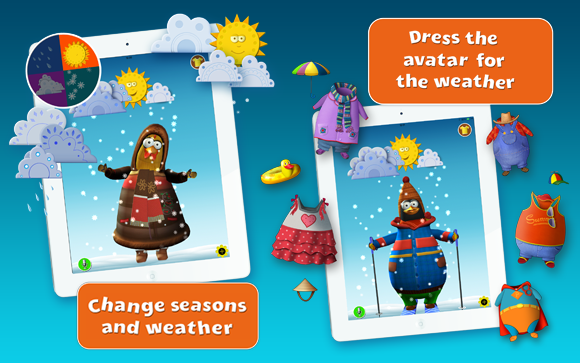 A unique, entertaining, educational weather app that teaches kids about the four seasons, weather and how to dress for various weather conditions in a such a fun way that children wouldn`t want to put it down. No more arguing about getting dressed in the morning! This app does not enable social networking features. Our Facebook and Twitter pages may be accessed through the special FOR PARENTS section in the Settings, which required a double click to enter. This app does not link to external web sites. Our webpage (Appypup.com) may be accessed through the special FOR PARENTS section in the Settings, which required a double click to enter. This app does not allow in-app purchases. 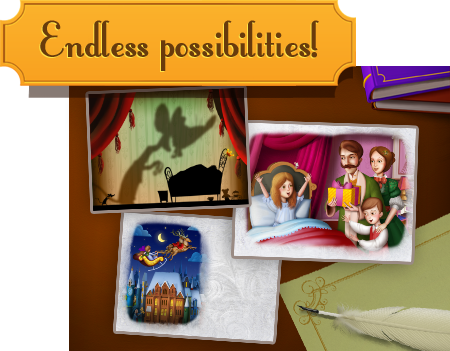 Let your kids take a trip to a land of wonder and make-believe! 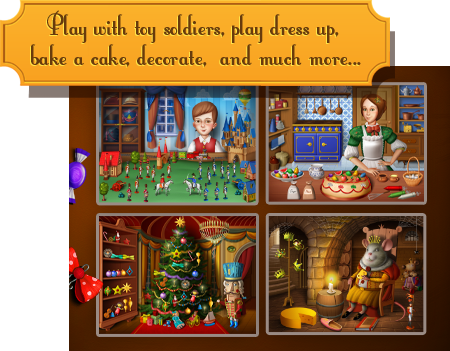 The Nutcracker is so much more then a collection of educational games. 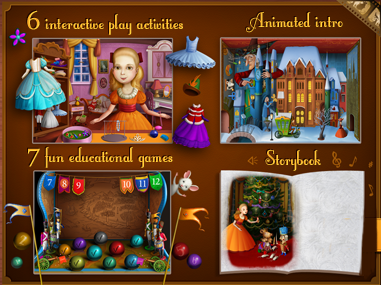 It`s every child`s fantasy, a unique chance to be an active participant in a timeless story of courage and compassion. 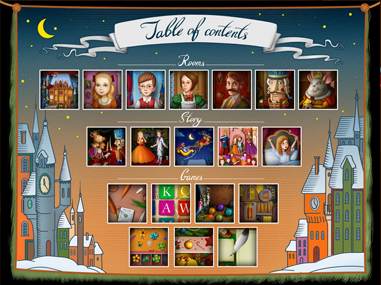 Watch a fun cartoon, listen to the fascinating story, enjoy classical melodies, and step inside the magnificent Stahlboum`s mansion where all the magic happens! 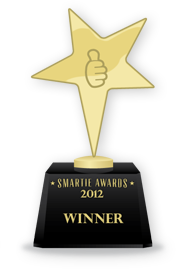 Smartie Award for Best Debut in 2012! 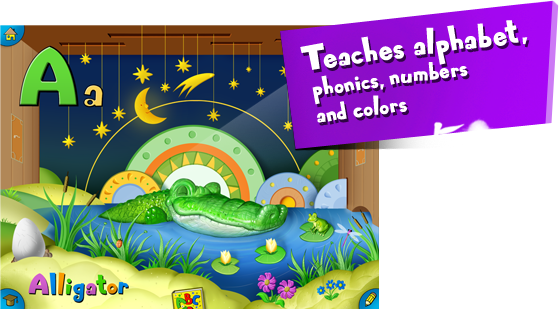 Goodnight ABC is a revolutionary fully interactive App that makes learning ABCs and Phonics feel like playing a game. 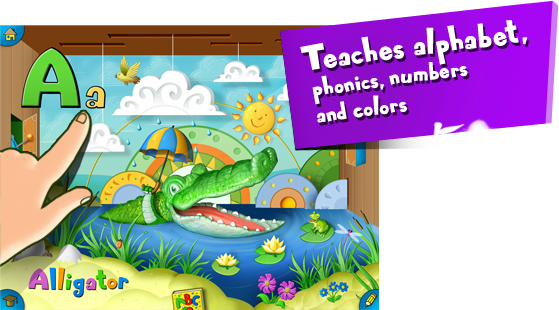 Filled with colorful original art, sound effects, animals, whimsical objects, and loads of interactive features and animation the App teaches letters of the alphabet, letter sounds, vocabulary, numbers, colors, the basics of physical world, technology, and so much more. Goodnight ABC captures children`s curiosity to help them gain knowledge, develop problem solving skills, logic, memory, imagination, and creativity through play and exploration. 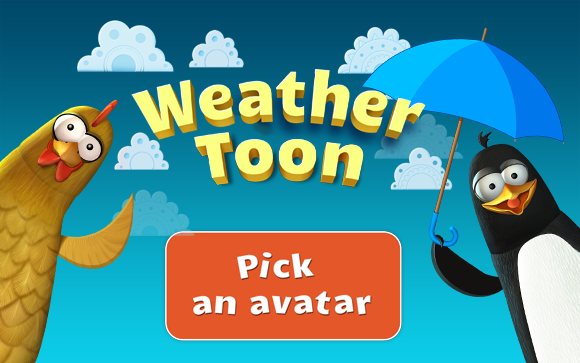 Vibrant graphics, exciting sound effects, and delightful animation make this app so thrilling your child wouldn`t want to put it down! 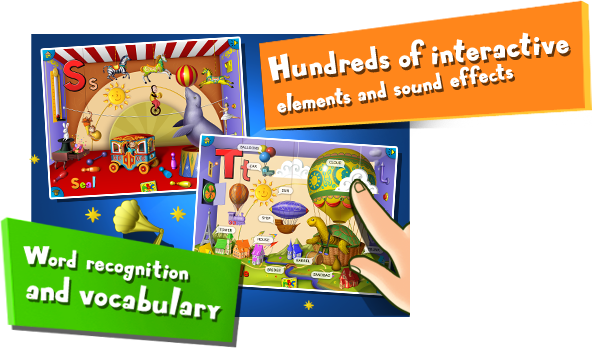 Each letter is a fully equipped interactive playroom, a micro world filled with creatures and objects the child can manipulate and explore. 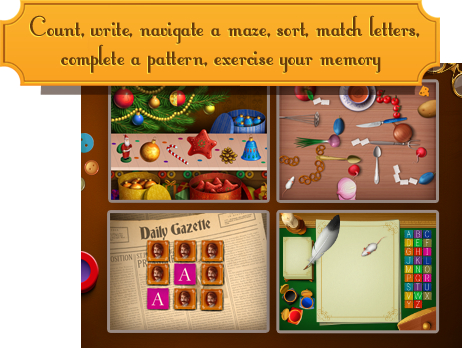 Play basketball with Bear, shop in a chic boutique with Zebra, take a ride in a hot air balloon with Turtle, have fun at the circus with Seal, become a doctor with X-Ray Fish. It`s always educational and never boring. 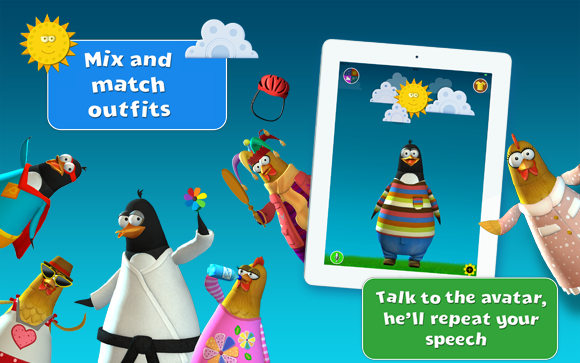 Touch, tap, and drag every inch of the screen to uncover more items, set things in motion, assemble and disassemble devices, and find exciting games. Discover how things work. Explore nature and technology. 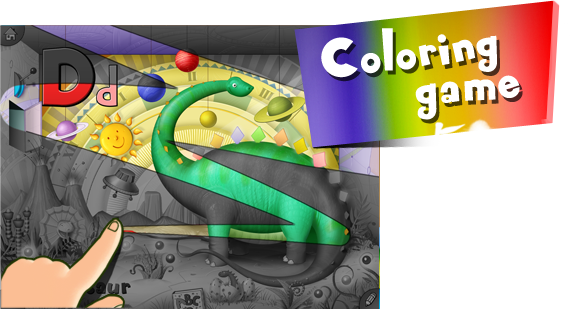 Become an artist in your own right and color each picture. When you are done exploring, put the animals to bed and say good night. Learning through play is fun, fun, fun! This app's iPad version does not allow in-app purchases. This app's iPhone/iPad version is free with an in-app purchase option.